Hello, I’m interested in 1212 North Lake Shore Drive North Unit 18CS and would like to take a look around. The details on 1212 North Lake Shore Drive North Unit 18CS: This condo located in Near North Side, Chicago, IL 60610 is currently for sale for $799,999. 1212 North Lake Shore Drive North Unit 18CS is a 1,850 square foot condo with 2 beds and 2 baths that has been on Estately for 5 days. 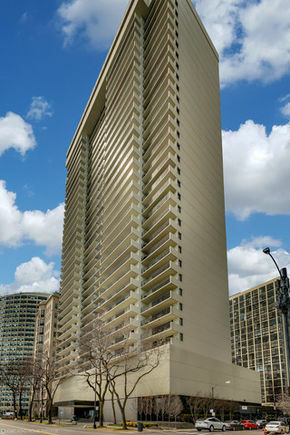 1212 North Lake Shore Drive North Unit 18CS is in the Near North Side neighborhood of Chicago and has a WalkScore® of 96, making it walker's paradise. This condo is in the attendance area of Ogden Elementary School and Lincoln Park High School. Listing courtesy of MRED, Mark Allen Realty, LLC, and Spencer Hauptman.